Flagstaff, Ariz. – People setting out on The Way of St. James or El Camino de Santiago in northern Spain made famous by the Martin Sheen and Emilio Estevez movie “The Way” now have a book, which guides them along the pathways of their heart during the pilgrimage. The book entitled “Spiritual and Walking Guide: Leon to Santiago” is a guidebook that combines daily scripture readings appropriate for the day’s journey, travel tips and route-following instructions. • What about pilgrimage helps you let go of fears and find peace? • How can you be still and hear God’s voice as you trek the ancient pilgrimage route? 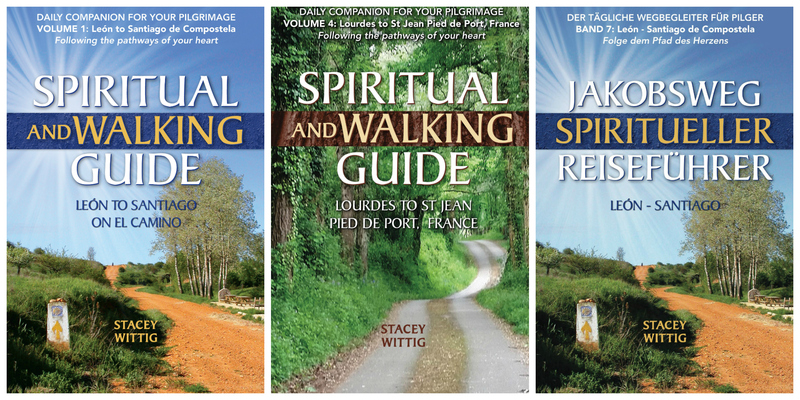 • How will you prepare your heart for a closer walk with God on El Camino de Santiago? The pilgrim will find answers to these and other questions in this daily devotional and walking guide. • Instructions about how to procure a Pilgrim Credential and how to follow the route without maps. Spiritual Walking Guide: León to Santiago is available in paperback from Amazon.com and other retail outlets, and is available for Kindle and other devices at www.amazon.com/author/staceywittig.